It’s 2019. You’ve been told to drive more traffic to your website to increase the number of inbound leads. What do you do? Most brand-side marketers (i.e. not in an agency) have a small team to support a growing list of marketing duties, from strategy to content creation to implementing marketing automation and aligning with sales. It’s a lot to handle, and some of these efforts actually require specialized skill sets, like graphic design, coding, video production, etc. It’s virtually impossible for a handful of people on your internal marketing team to possess so many specialized skill sets or even to possess the time to manage all the many loose ends that make up a robust marketing campaign in 2019. Think of it, you’ve got a website to manage, social media to post, audiences to develop, content to publish, reviews to aggregate, testimonials to capture, conversion rates to optimize, search terms to rank for, and so much more. Face it. A partner could help you manage your time more efficiently, putting your brain and your institutional knowledge to work orchestrating marketing strategy at a high level. You need a partner that understands the ins and outs of inbound marketing, has ample resources to tackle problems, and has the specialists who can efficiently produce compelling content at scale. But since it’s 2019 and you’d like to actually make money from your marketing, you don’t just need any agency. You need a HubSpot partner agency with expertise in leveraging marketing automation to drive measurable results from inbound marketing campaigns. You need to keep your hands free so you can continue to move forward with new initiatives instead of being buried in manual marketing activities, like exporting lists of contacts who’ve opened emails and building follow-up campaigns. This sort of basic marketing task can be fully automated with marketing automation software from HubSpot, keeping you free to move on to other tasks. Why a HubSpot partner agency? It’s not what you know, it’s who you know, right? HubSpot technical support is among the best in the world, and they’ll gladly help you with any question you have the experience to know how to ask them. But go-to market strategy, in-depth analysis and assistance with campaign execution isn’t something that HubSpot support can provide. Even if you have ace marketers on your team, odds are they don’t have the specific experience with HubSpot and marketing automation tactics to produce results quickly and efficiently. Having this sort of expertise at hand when your campaign isn’t yet generating the results you need can be the difference between a positive EOQ and a negative one. What’s different about HubSpot agencies vs typical marketing agencies? Every agency has creative resources, produces content, manages social media, etc. Why do you specifically need to work with a HubSpot partner agency, if the traffic is all coming from outside your website anyway? The two pillars of successful inbound marketing campaigns are automation and optimization. Optimization is the practice of constantly testing hypothetical improvements to your marketing assets in a cycle where you test, analyze, refine and repeat tweaks to keywords, content offers, CTAs, email subject lines, ad creative, audience sets, and all the other elements of an inbound marketing campaign. To be an expert in marketing automation and conversion rate optimization is surprisingly not all that common of a skillset for marketers. Inbound marketing techniques are still being adopted at an increasing rate by businesses globally, meaning that many more marketers have yet to master the unique skills required for inbound marketing campaigns. What’s the difference between inbound marketing vs traditional marketing campaigns? Traditional marketing campaigns focus on driving traffic to you with paid strategies and inbound marketing campaigns focus on attracting traffic to you organically. In practice there’s often a little bit of both approaches at work, but, in the strictest sense of the definition, “inbound” refers to enticing visitors by producing the best quality content on a given subject and therefore ranking highly in Google searches for related terms. There’s more to inbound than organic search, such as leveraging social media, email marketing and so on; but in terms of driving traffic (and therefore growth), organic search is always the greatest contributing factor. Start with the audience you want to attract. Understand who they are, what motivates them and what questions they’re trying to answer in the search for a solution like yours. Those questions, and the series of decision-making steps they form together, will form the basis of your content marketing strategy, the conversion funnels on your website and the nurturing program you’ll build with your marketing automation platform. The first step of this process is developing Buyer Personas, which are simple descriptions of the most common types of buyers your business attracts that bring you the best business. There are usually a few of these personas, depending on the number of different products and services you provide and how many people are involved in making a buying decision. For more information, see HubSpot’s list of 20 questions to ask yourself and your buyers to develop robust buyer personas. Set benchmarks and goals.What does success look like for this campaign? What metrics accurately describe and predict successful outcomes and how will you want to see this information visually? When deciding on your goals, try to pick ones that matter, that really dictate success, that you can achieve and, most importantly, you can believe in. Be smart. Make SMART goals. This type of approach to goal-setting results in a clear set of metrics on which you can judge the success of your inbound marketing campaign and be able to optimize and improve it along the way. There are plenty of good guides on this topic, so I’ll just link a good article on how to create SMART goals and share a favorite webinar then move on. Since inbound marketing is most concerned with organic traffic from search, you can imagine the importance of keyword research and search engine optimization. Identify head and long tail search terms with sufficient search volume. Determine what questions each persona would ask during a typical buying process. Create topic clusters and identify sub-topics (learn about topic clusters here). Create ungated content for your buyer personas (here’s a guide to content planning). Generate pillar / blog content dedicated to your topics (learn about pillar pages). Create a campaign, tracking URL and CTAs.Once you have buyers personas, SMART goals and content assets, you’re ready to start putting the pieces of your inbound marketing campaign together. But first, you’ll need some way to track your progress in a convenient, centralized location. Good thing HubSpot provides an easy-to-use tool for this specific purpose. The Campaign tool is a straightforward way to tie all the assets you have dedicated to this inbound marketing campaign together so you can report on their combined traffic, contacts and leads. 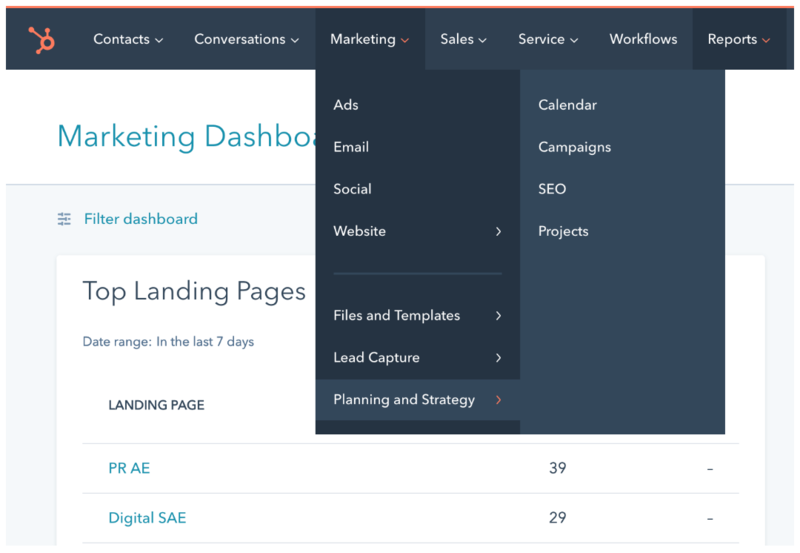 You can find the tool in your Marketing Hub dashboard under Marketing >> Planning and Strategy >> Campaigns. Once your campaign has been created, associate your content assets, blog posts, forms, etc with the “Add Assets” button. Just check the assets you want to track in this campaign and save. 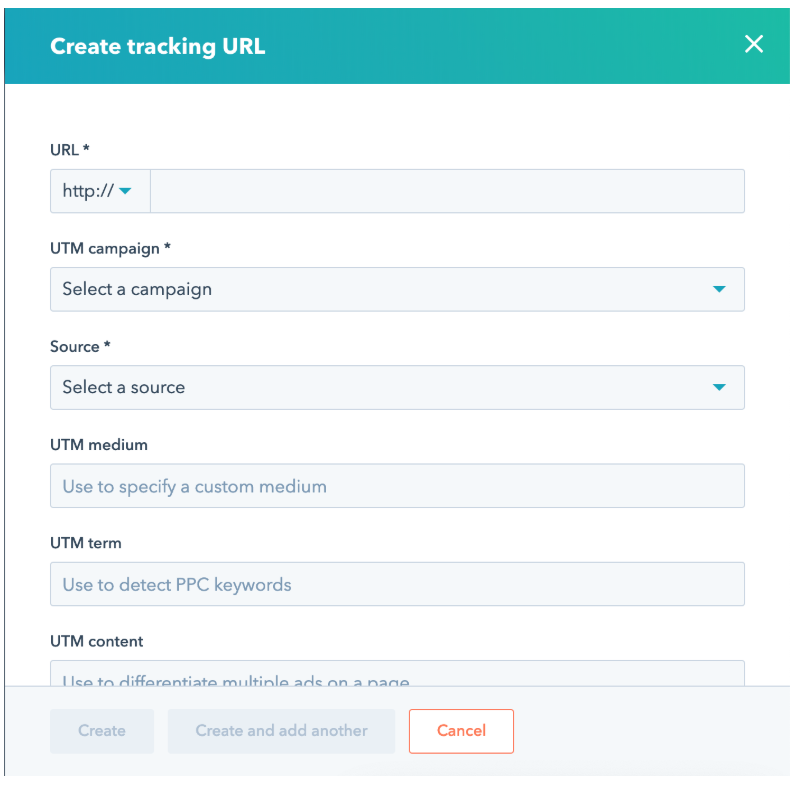 Then finish your campaign by adding tracking URLs for each channel you plan on using to promote your campaign. Develop content offers and landing pages for each persona and connect to your blog/pillar content with CTAs.Before anyone is going to become a lead to pursue and nurture, you’re going to first need to attract their attention and entice them to share their email address so you have a way to stay in touch with them. The key to getting someone to hand over their email address is offering something that they value more than not receiving another email in their inbox. What’s worth the hassle of dealing with more email? A free answer to your one of your biggest problems.Create a piece of content that answers a big question for your prospects. And don’t cut corners and try to promote yourself at this point; It’ll backfire, and you won’t get the conversions you want anyway. Just give your expertise freely and let your prospects really sink their teeth into the bait. Once they’ve offered up their email address in exchange for your trade secret, you’ll have everything you need to stay in touch with them until they buy or decide to move on. For inspiration on what types of content offers and incentives work well for inbound marketing campaigns, read this article from HubSpot. Choose your promotion channels and get the word out.Having a ton of great content and not having anyone reading it isn’t a great feeling. You want your hard work to be appreciated, so it’s important that a distribution strategy be a well-developed part of your content marketing plan. Write related blog posts featuring strategically selected keywords. Share content on your social media channels. Create ads on social networks targeting look-a-likes of your customers. Create ads on programmatic networks targeting look-a-likes of your customers. Create AdWords ads targeting strategically selected keywords. Nurture leads generated through your offers. (what is lead nurturing). Once you start to convert contacts from your content offers, the next step is to fill their inbox and social feed (through retargeting) with more of your helpful content that reinforces the need for your product, the benefits they’ll receive and creates a sense of urgency about taking action. 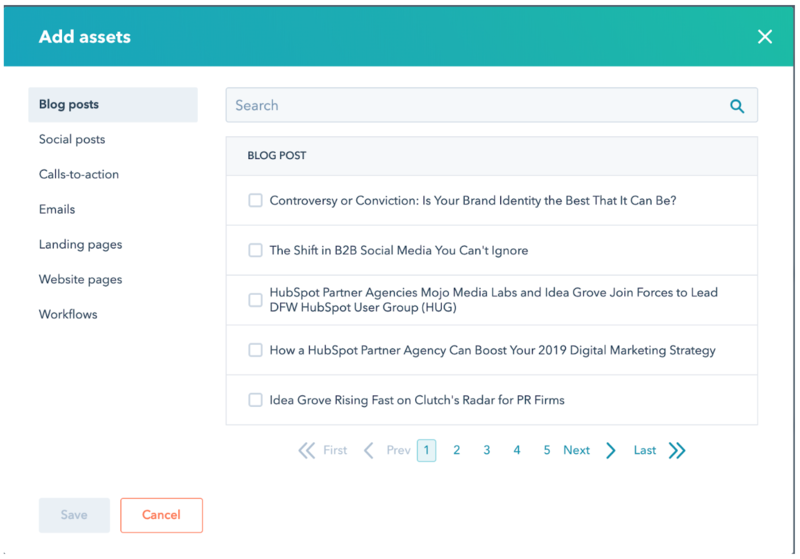 Create automated drip campaigns with HubSpot workflows out of a series of blog posts that answer progressively more detailed questions that prospects would typically ask during an average buying process. Mix it up with videos, worksheets, checklists, helpful guides, stat sheets, etc. to diversify your approach and keep prospects interested throughout their journey. As leads continue to engage with your content, leverage the power of HubSpot workflows to add context to their journey that helps your sales teams and even triggers outreach based on lifecycle stage updates. For example, if you award points for various activities (reading blogs, downloading assets, requesting more information, etc.) you can set benchmarks for activity that, once passed, trigger prospects to be marked as marketing qualified leads and sent to sales. This not only automates a tedious marketing activity, but it fundamentally aligns sales and marketing to the same goals and ensures that each potential opportunity is identified, qualified and acted on quickly. Once everyone on your team, either from marketing or sales, can see the sales pipeline with full transparency, the excuses turn into actions and actions in to revenues. For a deep dive into best practices, read this innovative new approach to lead nurturing with HubSpot. Report on your results.Finally, after all your hard work, you cross your fingers and hope it all worked out, right? No, of course not. You track your campaigns so you can monitor the results in real-time, reviewing weekly and monthly reports and making optimizations along the way. HubSpot’s reporting tools are excellent for helping you quickly analyze all your many data points, grouping and filtering them where necessary, and tying them to live dashboards for at-a-glance campaign management. And that’s great. But there are times when you need to tell a story with your reporting, particularly to managers and stakeholders. 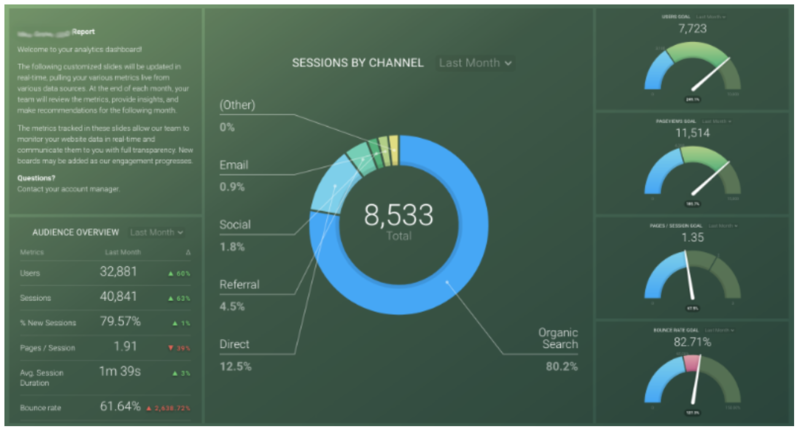 For more advanced reporting needs, I highly recommend taking a look at Databox, a robust SaaS platform for building real-time business analytics dashboards through API integrations with all your favorite marketing channels like Facebook, HubSpot, AdWords, and so on. 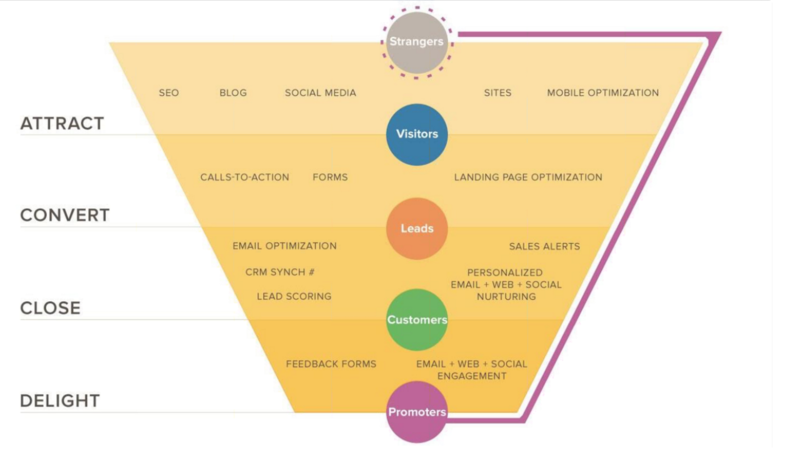 For more information on planning inbound marketing campaigns, follow HubSpot’s campaign planning guide. Once you’ve determined that inbound marketing is a priority, you’ve got to evaluate your marketing team and assess its strengths and efficiencies. Can your team spend hours carefully strategizing keywords, reviewing analytics and producing the massive quantity of fresh content that it takes to stay relevant in search? Or are you going to have plenty of other things for your staff to do developing your messaging and campaign strategy, producing internal assets and aligning with your sales team? If your business is like most organizations, there’s enough to do internally to move the business forward to warrant bringing on a certified HubSpot partner agency to support the work your team is doing, extend their capabilities and provide expert counsel. 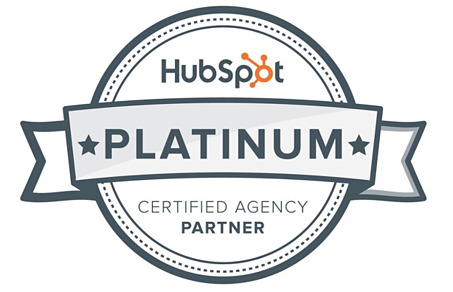 If you evaluate your business and find that you’d like to learn more about working with a Platinum HubSpot partner agency like Idea Grove, please reach out for a free HubSpot audit and consultation. Our HubSpot experts will review your portal and offer recommendations on ways to improve your inbound marketing ROI free of charge. From there you can decide the best plan forward for your organization and we’re here to support you when you need it.